If you've been following my blog for a while, you may have noticed that I've been making cards with simple designs recently, I am loving the less is more look but I am not sure, with this card, if it works? I love simplicity and modern design so I personally like what I've created here but I would love to know what you think. I've simply cut a piece of the Winter Wonderland 6"x6" Designer Series Paper into 4 and stuck it onto a card base of Whisper White Thick Cardstock using some of the Winter Wonderland Designer Washi Tape. 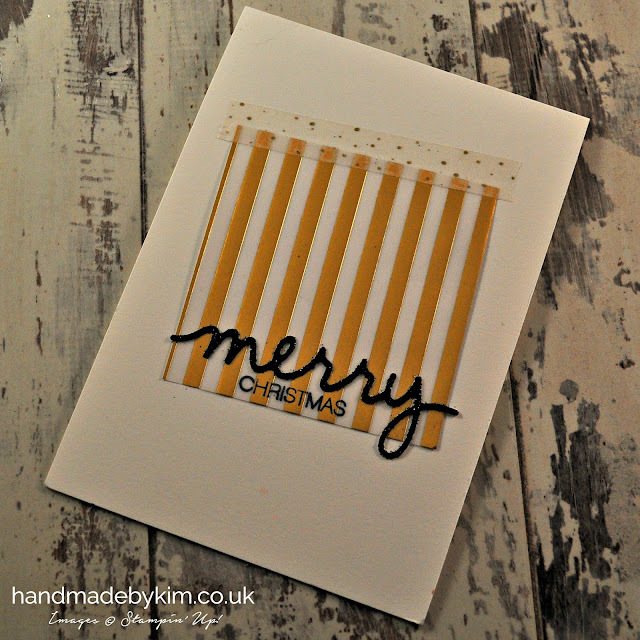 I then die cut "Merry" and stamped "Christmas" using the Holly Jolly Christmas bundle and voila, you have a modern, minimalist Christmas card. Does it work? Well it does for me.... BUT I would love to know your opinion. 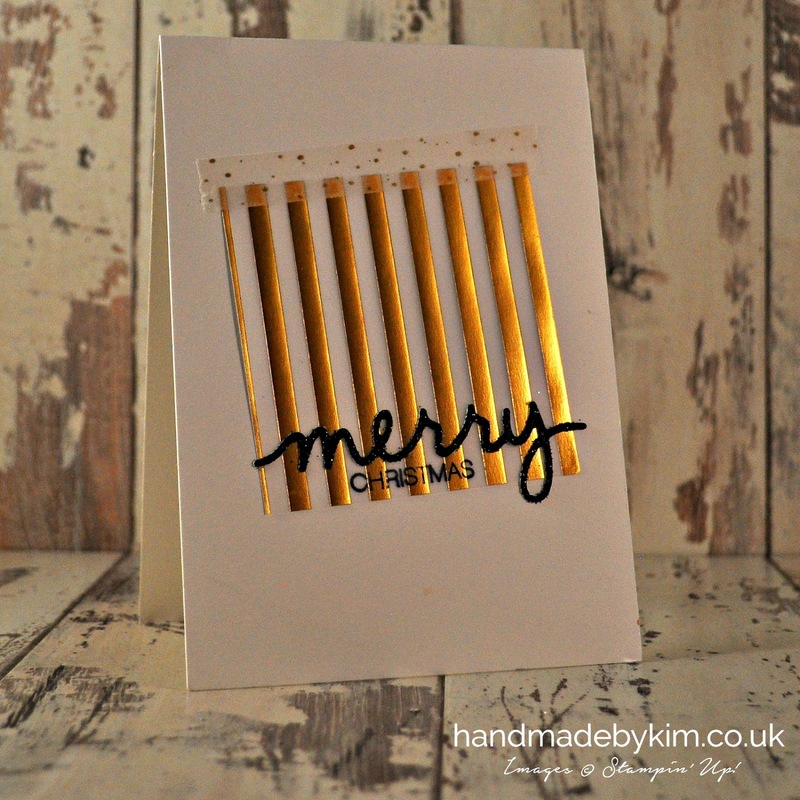 Would you like to receive this card? Is it too simple? If you could add anything else to the design of this card, what would it be? You can leave a comment by scrolling down this page just a little bit and clicking on the link which starts with "Thank you for visiting my website..."